Haverland SmartWave self-programming electric radiators represent the next generation of smart heating, offering intuitive motion sensing technology that allows these electric radiators to manage themselves — without the need for manual adjustment. The perfect accompaniment to smart home systems, the SmartWave is the future of heating today! Download the Haverland SmartWave specification here. Haverland SmartWave Electric Radiators are easy to install with very basic DIY knowledge. They simply screw to the wall and plug into a normal 13amp socket. 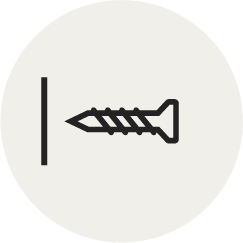 Each radiator is supplied with wall plugs, screws, and a template to show you where to put the screws. All you need to do is drill four holes, mount the radiator on the bracket supplied and plug into the nearest socket. It really is that simple. For help setting up the Haverland Heating App, follow the step-by-step guide here. 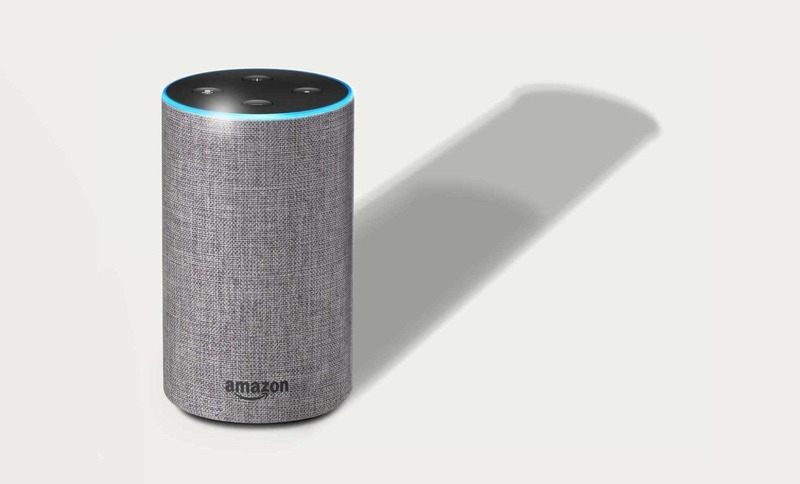 A quick guide to Amazon Alexa voice commands for the SmartWave can be found here. Radiators for bathroom installation must be installed by a professional electrician. The SmartWave should only be installed in Zone 3 of your bathroom. If your bathroom is not large enough to have a Zone 3 area, we recommend choosing an electric towel rail instead. All Haverland SmartWave Electric Radiators come with a 3 Year Manufacturer’s Warranty and a Lifetime Warranty on the radiator body (subject to manufacturer's terms and conditions). Orders of multiple items may be shipped on a pallet. Next working day delivery dates are not available with pallet orders. If you are ordering multiple different items, we will always endeavour to dispatch your goods together. However, separate dispatches may be necessary if the items you have ordered are being shipped from different locations. Check our delivery page or speak to our customer service team for more information. 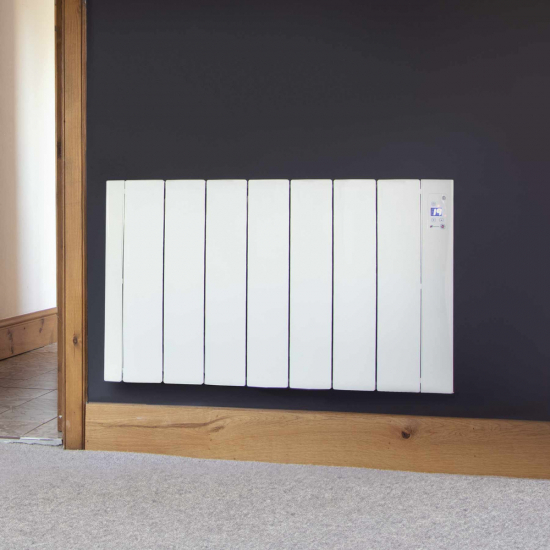 The Haverland SmartWave is an innovative electric radiator for the modern age, designed to provide effortless adaptive heating so your rooms are always at the right temperature, at the right time. Intelligent, adaptable and fully automatic, the Haverland SmartWave will transform the way you heat your home. Programmable radiators allow you to fit your heating around your lifestyle, cutting down your energy usage to the minimum required, but the SmartWave goes one better by programming itself based on your weekly routine. Each room in your house will be warm and cosy whenever you need it – without wasting any energy. All you have to do is relax and let the SmartWave do all the work. You don’t even have to stick to your routine to ensure your heating stays efficient; the motion sensor allows the SmartWave to adapt to any changes and prevents wasted energy if you’re unexpectedly out of the house. 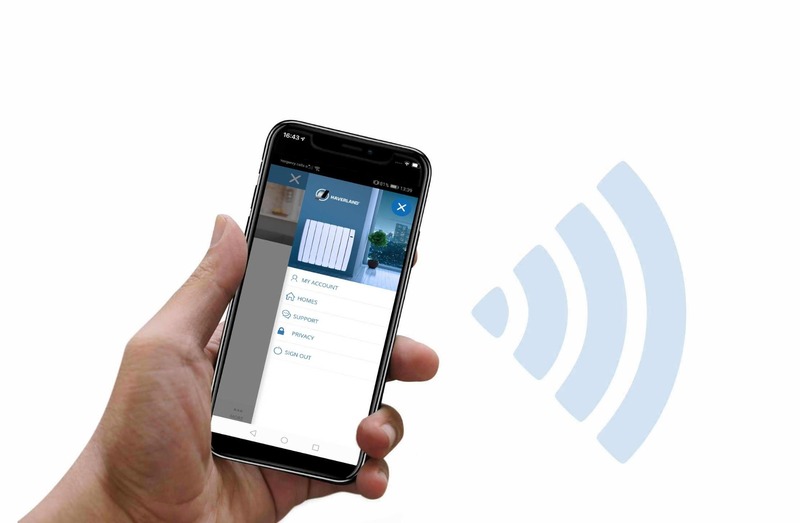 If you purchase your SmartWave radiators with the Haverland SmartBox WiFi Hub, you can link them to the internet through your home connection. Simply plug the SmartBox into your router, download the Haverland heating app, and you can control your entire heating system over the internet. Using a single SmartBox to control all your radiators lessens the strain on your router, which means it won’t interfere with web browsing at home - unlike multiple WiFi enabled radiators that can often use up bandwidth and slow your connection. The user-friendly heating app gives you complete control over all your radiators. It doesn’t matter where you are – you could be on the bus, on the train, or sitting at work; as long as you have an internet connection, you can adjust every radiator in your system using your mobile, tablet or computer. 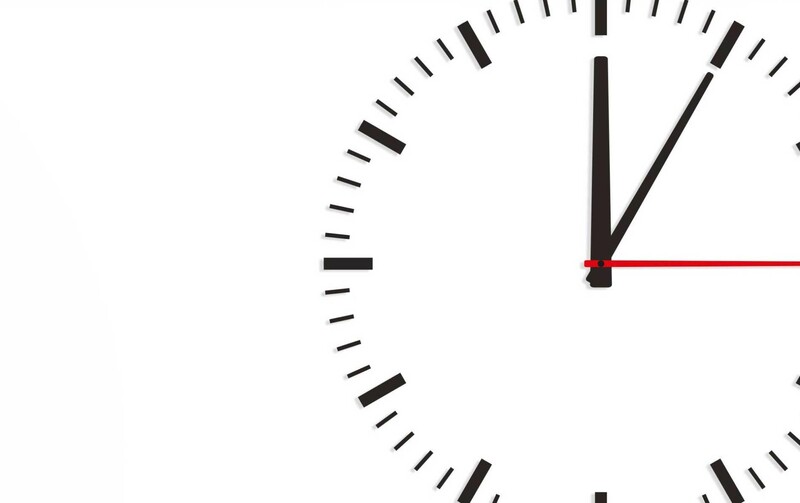 Maybe you just want to check the temperature at home, or tell your heating to stay switched off if you know you’re going to be back late – wherever you are, your radiators will get the message. The SmartBox goes a step further by allowing voice control through Amazon’s assistant, Alexa. 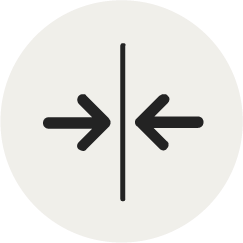 Using a few simple commands, you can have Alexa switch your heaters on and off, change between modes and adjust the temperature of each individual SmartWave in your system. Whenever you’re at home, enjoy hands-free heating control and never lift a finger again! For completely self-sufficient and interconnected heating, through voice control and WiFi, look to the Haverland SmartWave and the SmartBox Hub. Aside from these revolutionary heating controls, the SmartWave comes with all the benefits of Haverland’s top-quality radiator design. 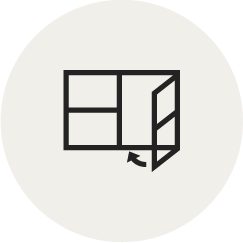 As part of their recent upgrade, SmartWave radiators now also include open window detection and adaptive start functions so your system will operate as efficiently as possible with minimal effort. The adaptive start feature allows the SmartWave to calculate the optimal time to start heating your room so it can use a more gradual warm up process that uses less energy, and the open window sensor will switch your radiator to anti-frost mode whenever a sharp drop in temperature is detected to prevent your heaters from wasting electricity. SmartWave electric radiators use fully-enclosed, fast-acting dry thermal elements which heat up quickly and provide a comfortable balance of radiated and convected heat. 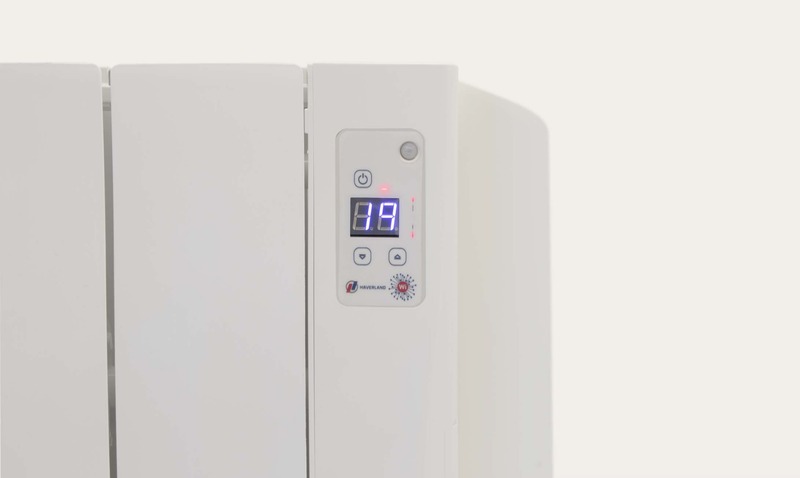 The SmartWave features a high precision digital thermostat that accurately maintains comfort, economy, and anti-freeze temperature – keeping your rooms at the correct temperatures without wasting energy. The Haverland Heating app even comes with an energy monitor that allows you to see your daily, monthly, and yearly energy consumption statistics - enabling you to keep a close eye on exactly how much energy you're using. You can install the SmartWave in a matter of minutes – just attach the wall brackets, slot the radiator into place and plug it into the nearest socket. The SmartWave is the heater that programs itself. It can match your weekly schedule so you never have to manually adjust your settings, and is even Alexa enabled for voice-controlled heating. Your heaters are only ever as far away as your phone when you use the SmartWave with its WiFi hub. Adjust your heating with just a few taps from anywhere in the world. SmartWave radiators have a thermostat accurate to ±0.2 °C and responsive dry thermal heating elements for precision temperature control. With its 75mm deep housing and elegant curved body, the SmartWave is a space-saving solution for even the smallest rooms in the home. If the SmartWave’s sophisticated control wasn’t enough, it also comes with a lifetime warranty on the radiator body so you can purchase with confidence. 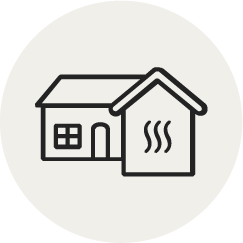 The SmartWave is a revolutionary new way of heating your home, offering sophisticated control that can be as advanced or as simple as you need. Use its self-programming mode so you don’t have to lift a finger, or control the SmartWave via WiFi for precision heat management on the move. The Haverland SmartWave programs itself using motion sensor technology. By making note of when you come and go from your rooms, this smart heater learns your daily and weekly routine so your spaces are perfectly heated exactly when you come to use them. Even if you’re early or late home, the SmartWave adapts. It switches to comfort mode if you’re home ahead of time, or to economy mode when you’re away longer than anticipated. 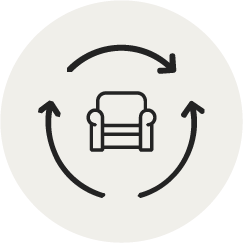 If manual programming is a hassle you don’t need, let the SmartWave do the work on your behalf. If you’re not one for routine, you can set the SmartWave to sensor mode so it heats only when it detects the room is occupied – perfect for occasionally used spaces or for areas where people come and go frequently. This mode won’t create or store a schedule and switches the heater off again when it detects no movement after a set period. It’s a hassle-free system that saves you energy. When purchased with the SmartBox WiFi hub, you can control up to 30 SmartWaves using the Haverland heating app. 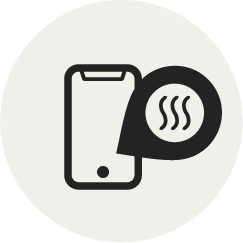 Adjust your programming hour by hour and change your temperatures on the move – the SmartWave gives you complete control from your phone. 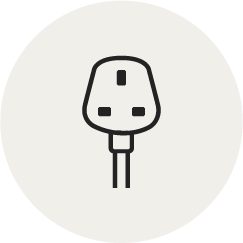 The app provides energy usage statistics to help keep track of your bills and completely optimise the running of your system. It also allows you to create separate settings if you have radiators in different properties, as well as select multiple radiators to update any changes en masse. A newly added guest account function gives you the option of inviting extra users without providing full access to your account – a superb feature for landlords, offices and holiday lets. Our SmartWave electric radiators are Amazon Alexa compatible so you can adjust your heating using only your voice. Alexa can turn your radiators on and off, switch them between modes and change the temperature of each individual heater so you never have to leave the comfort of your chair. SmartWave radiators save energy automatically using an adaptive start feature, which pre-heats your rooms using less power so your rooms are always comfortable at the right time. The SmartWave is clever enough to pause your heating whenever it detects a sharp drop in temperature caused by an open door or window so you’ll never waste energy. 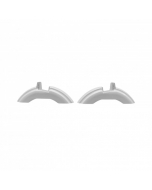 Every SmartWave comes with wall mounting brackets, but if you need a portable solution, we also supply optional feet which quickly and easily attach to the base. 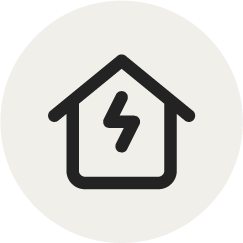 How do I control my SmartWave through the heating app? Once you’ve purchased your SmartWave and SmartBox Wi-Fi controller, you can start programming your radiator using Haverland’s easy-to-use heating app. The app is compatible with Android and iOS devices and can be downloaded to your smartphone or tablet; or alternatively, you can also visit i2control.haverland.com on your web browser. After downloading the app, all you need to do is set up a user account, then you can start enjoying the benefits of managing your heating on the move! The app covers a range of control functions which you can access from anywhere in the world, provided you are connected to the internet. You can switch radiators on and off when you’re away from home, adjust comfort and economy temperatures; or even select between sensor-only, self-learning and programming modes. Using a simple colour-coded system, it’s easy to see what temperature setting your SmartWave is operating at: orange for comfort, green for economy, blue for anti-freeze, and grey if the heater is switched off. Temperature levels and settings can be quickly adjusted on the programming screen with minimal effort, allowing your heating to be modified on an hour-by-hour basis. Using the SmartWave’s Wi-Fi capabilities is the best choice if you want your system to be as efficient as possible. If you’re coming home early you can tweak your heating to make sure it’s warm when you get back, and if you’re going to be late you can save energy by keeping your radiators in economy mode until you return. You can control all your radiators from the same app and can even add additional properties, which is useful if you have a second home, or you are in charge of multiple holiday lettings.